Looking for something to do outside with the kids on a hot day? 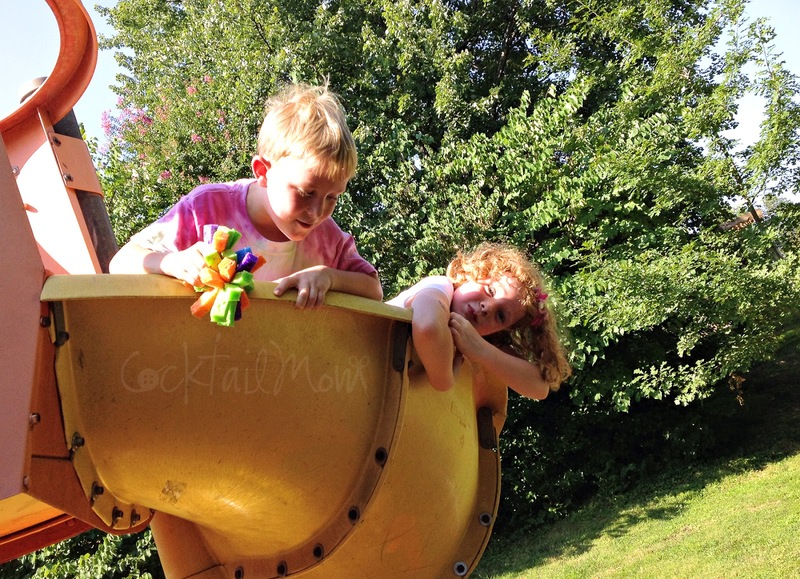 Maybe the pool hasn't opened yet or maybe you have a group of kids at your house of various ages and you don't know what to do that will entertain them all…well this is it! All you will need are basic sponges that you can find at Target or your local Dollar Store. 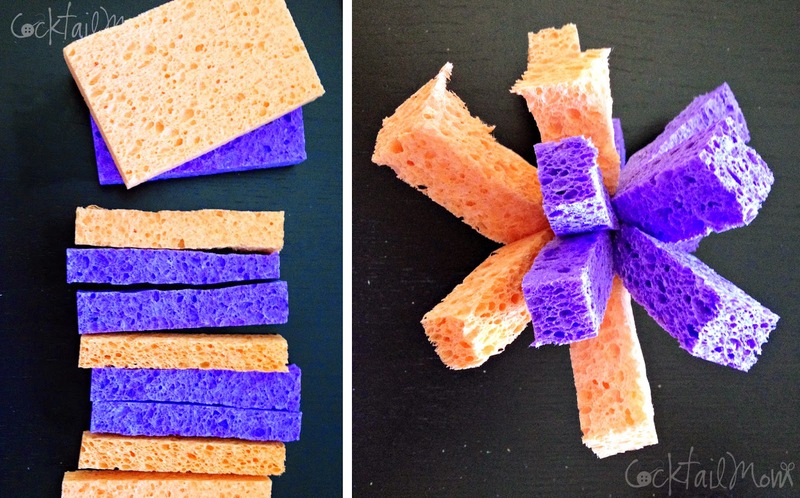 Cut each sponge into strips and then take 8 strips and secure together with a rubber band in the center- that's it! We had two buckets full of water on either end of the playground that the kids had to run to in order to get their water bombs nice and wet. Once wet launch them at your friends. This is a great activity when you need the kids to be outside burning off energy but they complain it's too hot to run around. Would also make a great craft project for the kids to make the water bombs at the end of the year class picnic and then run around launching them at each other. The water bombs were enjoyed by kids from Kindergarten through Fifth Grade on a playground, everyone played together and were equally wet with smiles on their faces.